Aiden Driscoll-Sadusky high fives his teammates after scoring one of his three runs in the game. The Wakulla Christian baseball program is so new that most people do not even know it exists yet. But after the fast success the Saints have enjoyed this season, that may soon change. Competing in its first year of eligibility in the state playoffs, Wakulla Christian stormed its way to the state Final Four this year. The small school in Crawfordville is only competing in baseball for its third year, as part of a budding athletic program that began at the 13-year old school five seasons ago, simply to teach sports basics. Yet following their unprecedented, 13-5 victory over the Mt. Dora Christian Bulldogs in Saturday’s state semifinal at Hammond Stadium in Fort Myers, the Saints now find themselves competing for their first state title. Wakulla Christian awaits the winner of the other semifinal between Seven Rivers Christian and Miami Christian, which was suspended due to weather on Saturday and will now be completed on Monday morning. The Saints will then meet the winner of that game in Monday night’s 2A state championship. Three runs in the bottom of the second inning accounted for the deciding runs. Senior Jacob Dismuke got things started with a double to left, and Aiden Driscoll-Sadusky quickly drove him in with a single to center. Seth Dudley kept it going with an RBI double and Aaron Collins plated another with a liner to center to give them a 6-3 advantage. The Saints high-powered offense pounded out 12 hits for the victory. After falling behind by a run right away, the Saints (18-5) stormed right out of the gate to take the lead with their first swings. Destin Todd drew a lead-off walk and quickly stole second, which allowed him to come around and tie the game thanks to an RBI single to center from Driscoll-Sadusky. Aaron Collins pushed another run in with a base hit to right, before also scoring on an RBI double from Tyler Gaston. The Bulldogs (18-10) answered back to tie things up in the second. Kevin Davina walked, Sebastian Rolon was hit by a pitch and Sam Brown singled to center to load up the bases. After Davina came in on a wild pitch, Danny Carpenter then delivered an RBI single to right to make it a 3-3 ball game. 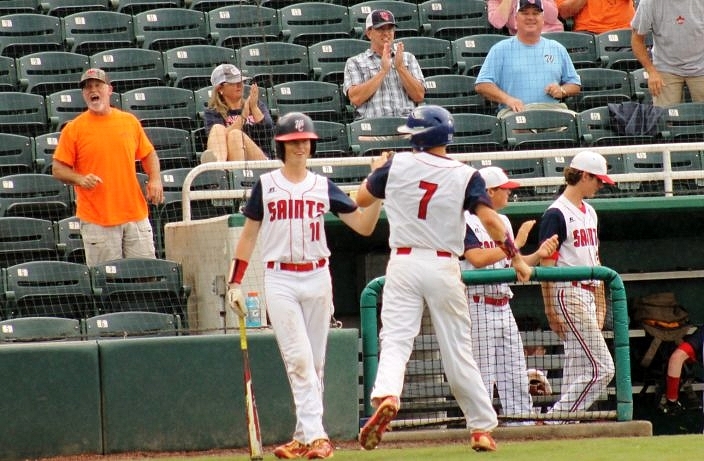 Wakulla Christian added four more runs in the third to open a commanding lead, and finished things off with three more runs in the sixth. 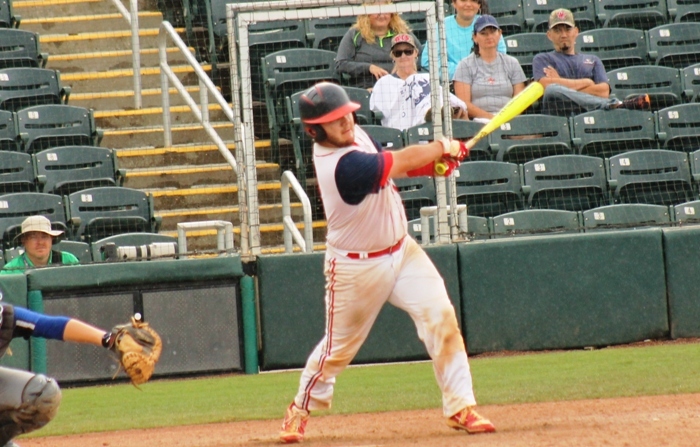 Nearly every member of the offense reached base to contribute, and Driscoll-Sadusky, Dudley, Aaron Collins, Dismuke and Bailey Newkirk all had two hits each. Dudley picked up the win on the mound, going four-and-two-third innings while allowing two earned runs on five hits and two walks. The sophomore right-hander struck out four.